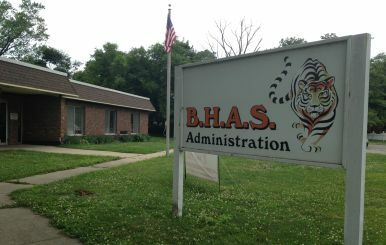 Benton Harbor Area Schools CEO Robert Herrera is waiting on word from the Michigan Attorney General’s Office on what’s next for the district following a legal change last year that may eliminate its cooperative agreement with the state. Last week, Herrera told trustees the change may mean a restoration of school board control to the district come July. The Michigan Department of Education has told him to wait for those AG instructions. He can’t really answer anything until that’s ironed out. “The AG is finally going to give a ruling, and then somebody is going to have to figure out the application of that to the district and what that looks like and what it means for everybody,” Herrera said. After years of different levels of state oversight of the district, Herrera says it’s not clear if all of that control would just go away. Michigan School Reform Officer Bill Pearson told us this week he hopes for the attorney general’s decision within the next month.